The attendance at Baconfest continues to pleasantly surprise me. Again well over 200 people viewed and were engaged on our two films from last evening. The last of the Bacon series generated some interesting discussion during and after the films. The use of holograms, pioneering in 1983, as a means of communicating information was a precursor to our use today of tools like City Engine to show 3D animation of our corridors for example. Perhaps the point that stuck with the audience the most, was when Mr. Bacon stated that “analysis never produced an idea”. A very telling point and one we hope to bring to all the business we do through our Transforming Planning initiative, where everyone is asked to think about outcomes rather than process. The second film about children and play in different environments was equally compelling. One question from the audience was whether we over programme our open space in the established areas to the point where spontaneous play is discouraged? An upcoming film in our series, The Social Life of Small Spaces, really fleshes out this question. Should our open spaces be left to the user to define how they are used? It is very encouraging to see the energy in the room with so many new faces and regular attendees absorbing different ideas from the films. Every week people linger longer to discuss what we have just seen. Next week we are showing the film Contested Streets. Guaranteed to generate a lot of opinions, the film is very good at showing the evolution of how streets went from the neighbourhood playground, to one dedicated to auto use and how efforts to reverse that trend are having great success. The historical footage really puts things in perspective when we look at our streets today. A second film will be shown, and the audience this week was split on whether it should be about Portland or the Paris bike share program. We will leave that decision until next week. In the meantime, I challenge everyone to let us know your ideas on how we can build on the energy of this film festival, to create the next engagement theme. What would you like to see us build a program around? 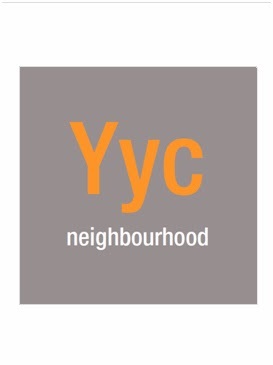 Bring your ideas next Wednesday or let us know through twitter (#Yycneighbourhood). Also, if you have not done so already, be sure to sign up for our Yyc neighbourhood email list and help us grow to 1000 friends of Calgary! See you all next week.